On Nov 8, 2018, a terrible wildfire swept through our beautiful Town of Paradise. As the winds whipped the flames through town, many families had little time to grab anything before they had to evacuate. In a matter of hours, thousands of homes were lost and over 30, 000 residents were displaced to nearby cities. The loss is devastating to our town, families and kids. Most kids did not have time to gather much of anything but especially their favorite baseball and softball equipment. Our Paradise baseball/softball fields were damaged in the fire and we are making plans to have our kids play together but just in a nearby town. We hope to keep the Paradise Little League family together next season. We are looking for help to put equipment in our kids hands so that they can have a little of their "normal" back as it was before Nov. 8th. We hope to give them the equipment in December so that they can be ready for the upcoming season. Any donations would be greatly appreciated. 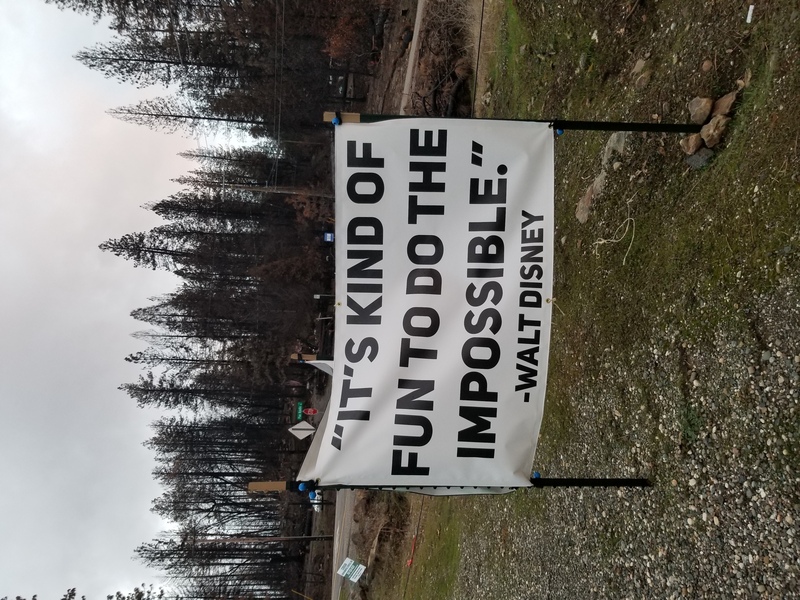 As Paradise Little League moves forward after the devastating Camp Fire on 11/8/18, this quote represents the essence of our upcoming season. This is just one of the inspirational signs posted around Paradise and Magalia. We will be having tryouts this weekend (if the weather cooperates!) and then the Draft and begin play in March! Who would have thought this was possible after we lost so much? We had some members who believed in PLL and worked really hard to be able to say "PLAY BALL" this spring! It HAS been kind of fun to do the impossible! Thank you, Mr. Disney, for the reminder. 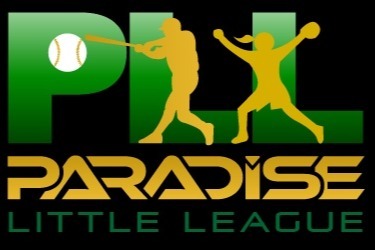 Registration this weekend for Paradise Little League! We may play in Chico this year but we will always be Paradise! 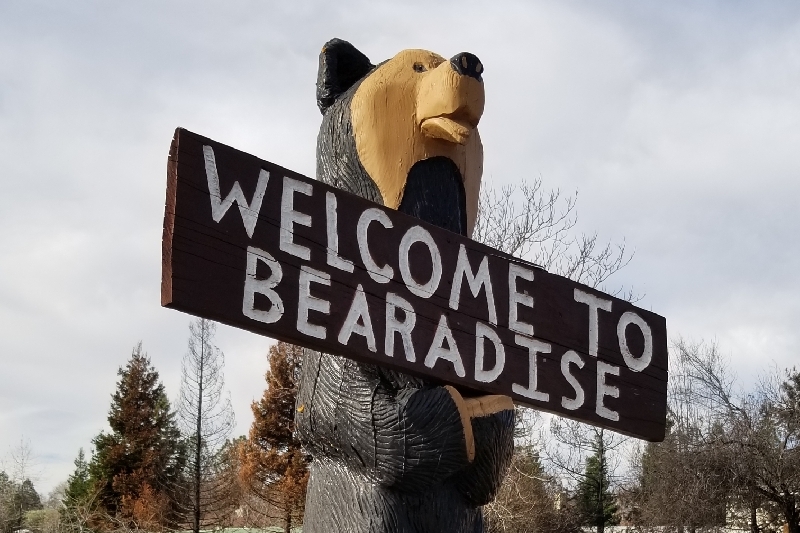 The Bear in Paradise is still there and so is Paradise Little League. We will play in Chico this season, registration starts this weekend and we are so excited to see our players again! Check out this story on Facebook. It's one person helping another. This is what living up on The Ridge is all about.